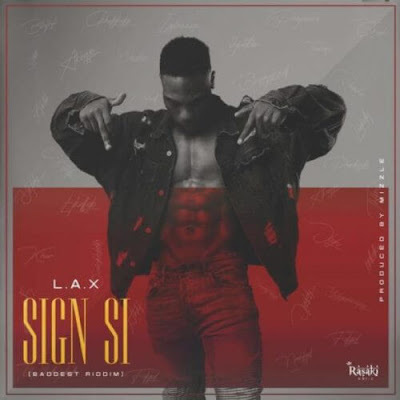 Rasaki Music Boss, L.A.X presents a new single titled Sign Si (Baddest Riddim) . Sign Si (Baddest Riddim) is an Afrobeat jam that will captivate you instantly. It got an irresistible pop vibe, this is definitely a dope production from Wizzle. Sign Si (Baddest Riddim) is L.A.X debut single this year and he dishes this banger out as a birthday gift to entertain his fans. Listen and Download Sign Si (Baddest Riddim) by L.A.X.